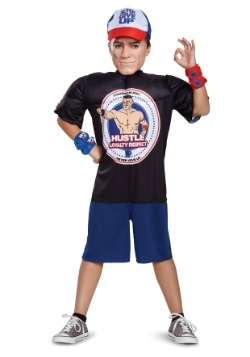 Becoming John Cena isn't exactly an easy feat. First, take into consideration all the hours you'll need to spend in the gym lifting weights to beef up. (Being beefy is a must.) When you're done pumping iron, then it's time to begin your training. 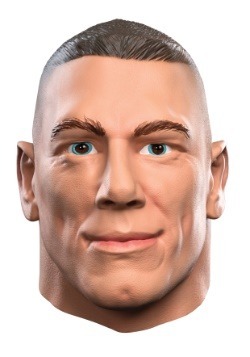 Hope you don't mind getting whacked in the back repeatedly with a guitar because you'll have to endure this if you're serious about becoming John Cena. Also, there's the cool factor. Being hip is a must since John Cena can not only dole out beatings in the ring, he can also whoop people in rap battles because dropping lyrical bombs is one of his many talents. We warned you that becoming John Cena wouldn't be a piece of cake! Although, if you were looking for a shortcut, we could help you out. 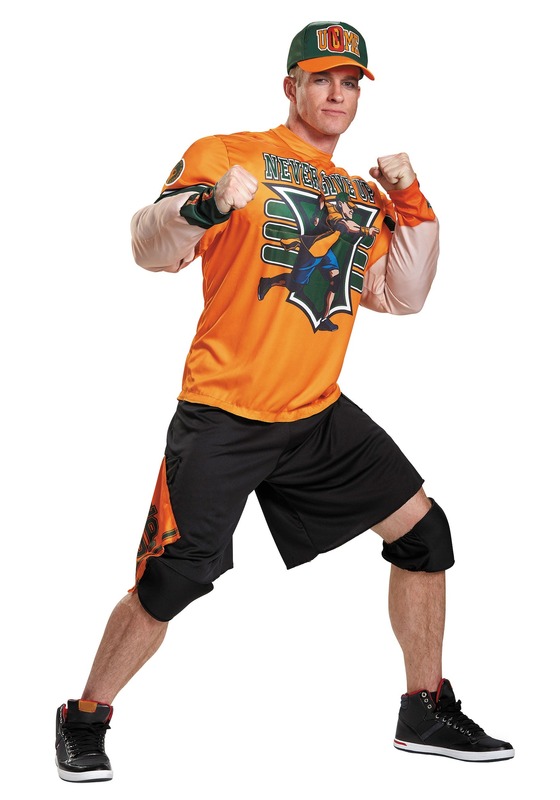 This John Cena plus size muscle costume will give you John Cena's classic appearance (yes even the rippling biceps) and you won't have to suffer grueling workouts and training sessions. 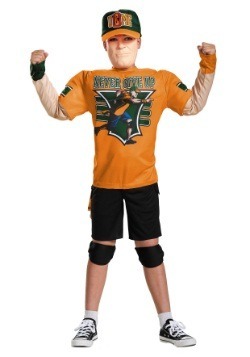 Just outfit yourself in the knit jumpsuit featuring sculpted muscles with the attached "Never Give Up" shorts and you'll be halfway transformed into the famed wrestler. 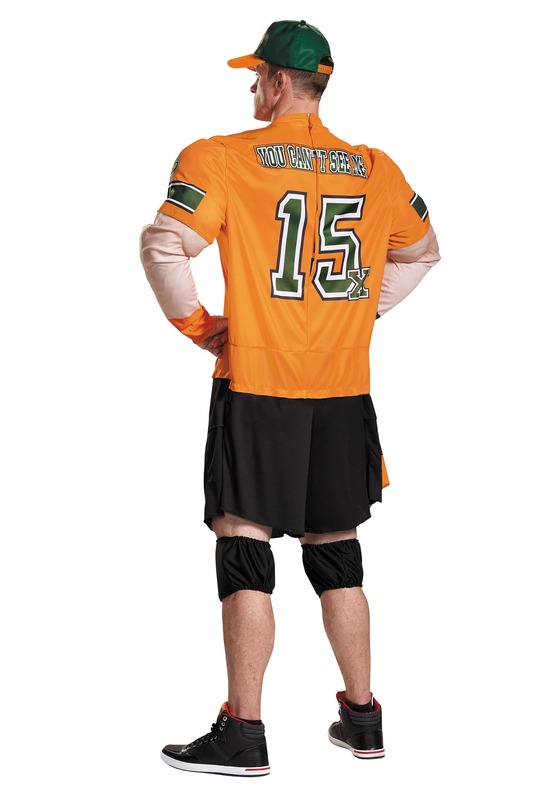 Complete your transformation by securing the included kneepads and throwing the adjustable hat on your head. 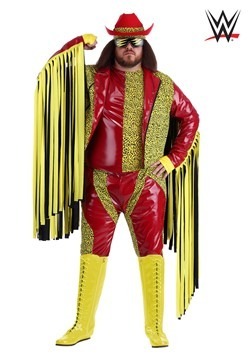 Choose to alter your appearance the easy way instead of the hard way and save a ton of time, plus you don't have to withstand repeated blows in the ring. Unless you want to learn how to do the Five Knuckle Shuffle; we haven't found any shortcuts for that...yet. 2X-Large - $59.99 Only 2 left!